The club was formed in 1903 and have spent most of their history playing in local amateur leagues. They started out in the Bedford & District and the North Bucks & District League. In 1952 they started their first spell in the South Midlands League, initially playing in Division 1. Promotion to the Premier Division came in the first season following a runners-up spot behind Biggleswade Town Reserves. 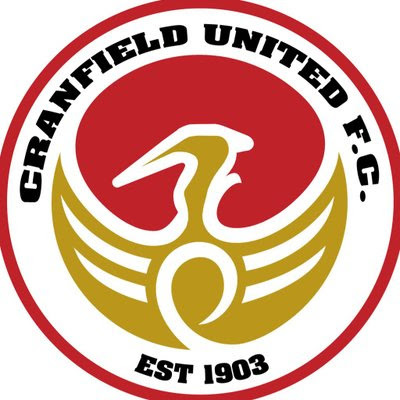 Cranfield United enjoyed a best-ever 4th place in 1955 but the following season they finished rock-bottom and were relegated back to Division 1. They continued to struggle in the lower division and in 1960 returned to the Bedfordshire & District League. They'd remain there until 1976 when they started their second spell in the South Midlands League. The club again started out in Division 1, this time generally finishing in the top ha;f of the table, but rarely troubling in the top spots. 6th place was good enough to go up in 1985 but they spent just three seasons in the Premier Division before returning. They'd remain in the league until 1996 when a bottom-placed finish saw them leave the league. By the time they returned in 2001, the league had merged with the Spartan League and had gained an extra tier. Cranfield started out in the lowest of these - Division 2 nut in 2004 a 7th place finish was good enough for promotion to Division 1. Bottom half finishes were generally the order of the day, with 8th in 2012 being a highlight. The following season, despite finishing in mid-table they left the league and joined the Bedfordshire County League, taking their reserves place in Division 2. Two quick promotions saw them rise to the step 7 Premier Division for the 2015/16 season. Since returning, they have finished 7th and 9th but prior to tonight's game were in 11th place. 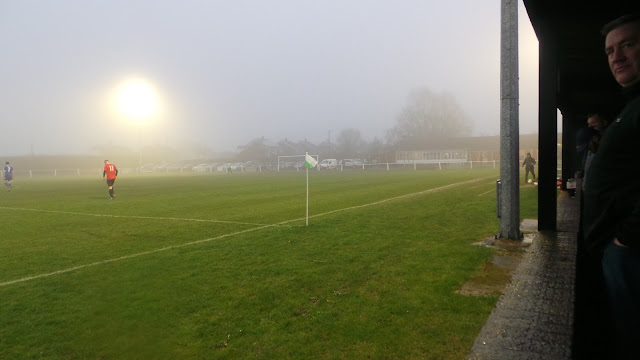 I'd wanted to visit Cranfield United for some time, having been there to take pictures of the ground, up on the way to Kings Lynn back in November 2013. The problem was, due to playing in a small league, they rarely play midweek games. They did have one a few weeks back, but as luck would have it, I was away up north. 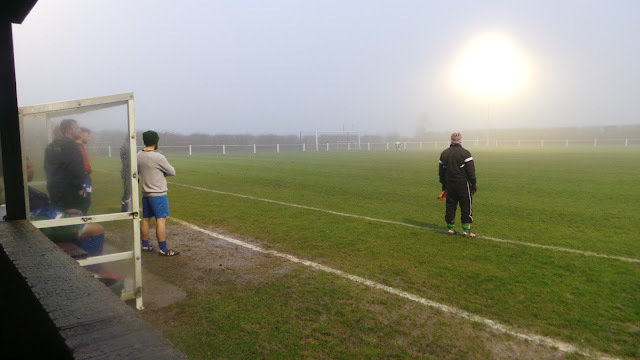 I had fellow hopper Anwar to thank for finding this game, he was browsing through fixtures on the way to our game at Barrow Town on the previous evening and as we both wanted to do it, it was provisionally pencilled in, weather permitting. On the day of the game, I awoke after a few hours sleep thanks to a combination of a late night and a 4 am start. Thankfully, I was finished by just after 11 and so I went home for a much needed 4-hour sleep. I woke up at 4 pm and had a bath and fresh change of clothes before typing up my blog from last night. 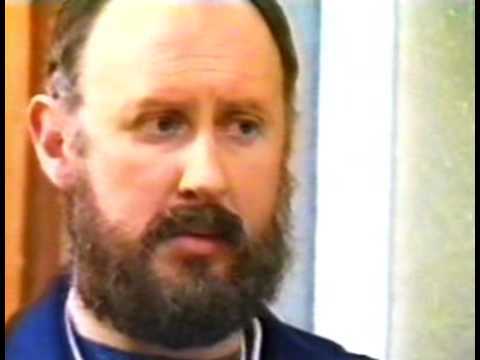 I'd had no time to do my research for tonight's game, but I did at least have confirmation that the game was on, save for a late intervention from a fussy official. I had a nice dinner of Chicken Fajitas before leaving home at 6.10. My progress was halted by a very slow Vauxhall Cavalier which left a long tailback and some roadworks right near Anwar's but I still was with him by 6.50. He had also brought his son, Hicham, with him for the journey. Time was very tight, but thanks to my passenger's local knowledge to avoid a traffic hotspot and good roads elsewhere, we got to the ground just in time for kick off. After parking up outside, we got in just in time to see the game kick off. It was a fairly foggy night and later on, we would get torrential rain, but despite the testing conditions, the two sides put on a good show. 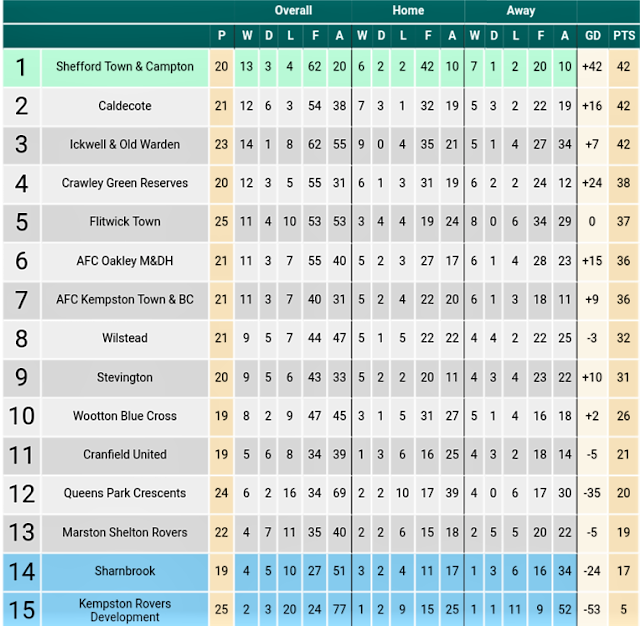 Despite having a rotten start to the season and winning just once at home all season, Cranfield were in good form and had won their last three games prior to tonight's game. They started in 11th place whilst the visitors sat in 6th. They'd also been in decent form, winning 4 out of their last 5 games. 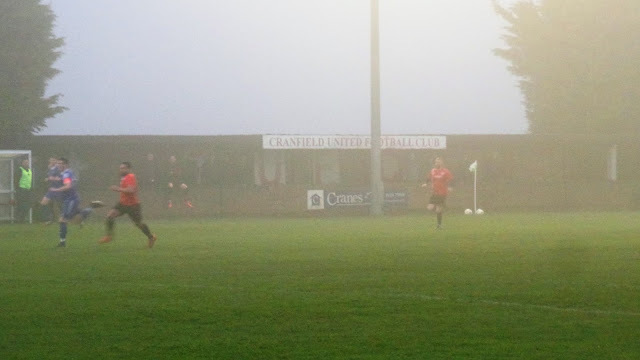 Cranfield were the better side early on and although they had the ball in the net after 20 minutes after a corner was bundled home, the goal was disallowed for a foul. They also had a shot cleared off the line before a double salvo just before halftime. Firstly a placed shot found the bottom right-hand corner a couple of minutes before halftime and then right on the whistle a smartly worked move from the right ended with the striker taking the ball down well and finishing into pretty much the same spot. Both sides had chances to score at the start of the second half and Cranfield had their goalkeeper to thank for keeping the score at 2-0 after he made a great save. On 70 minutes the game looked to have been sealed when the AFC Oakley keeper was caught handling outside his area. Referee Ezenwa Ukeje decided not to book him but he was punished when a well-worked free kick found the bottom right-hand corner, a moment I caught on video. 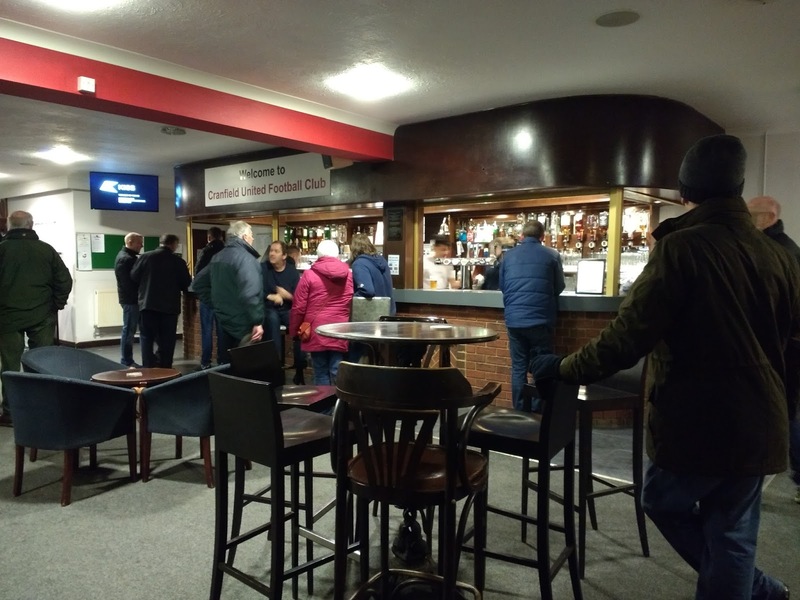 AFC Oakley had bought some good support with them and they were rewarded for their journey when their team reduced the arrears on 73 minutes when a Cranfield player deflected the ball into his own net. They looked to be making a game of it on 80 minutes, this time a cross was headed home by Robbie Alder despite the best efforts of a home defender on the line. Cranfield's number 11 had been impressive and his side looked to have sealed the win a few minutes from time, but the ball got stuck in the mud. Both sides had chances to win the game in a frantic finish, but in the end, the hosts held on for the win. 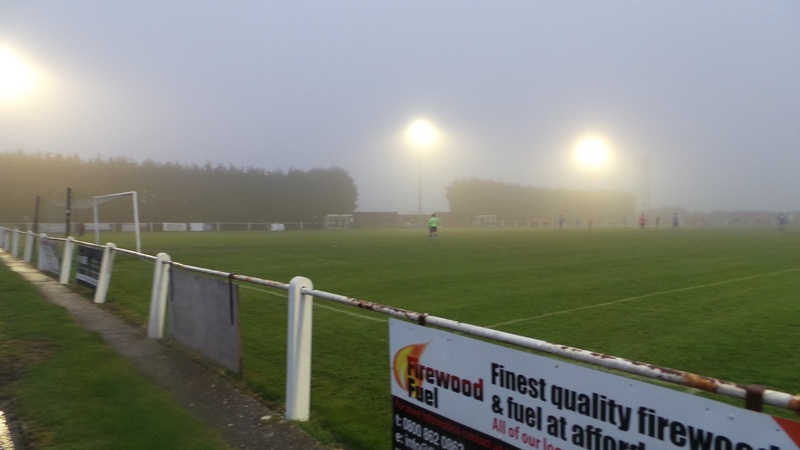 It had been a decent game in front of around 35 fans whose efforts to brave a wet night had been rewarded. Referee Ukeje had a decent game and deserved credit for getting the game played in less than perfect conditions. For the record, Cranfield's goals came from Josh Bamford, Robbie Goodman and Antonio Riccardi although who scored what goal is unclear as the league website listed the names alphabetically and gave no goal times. 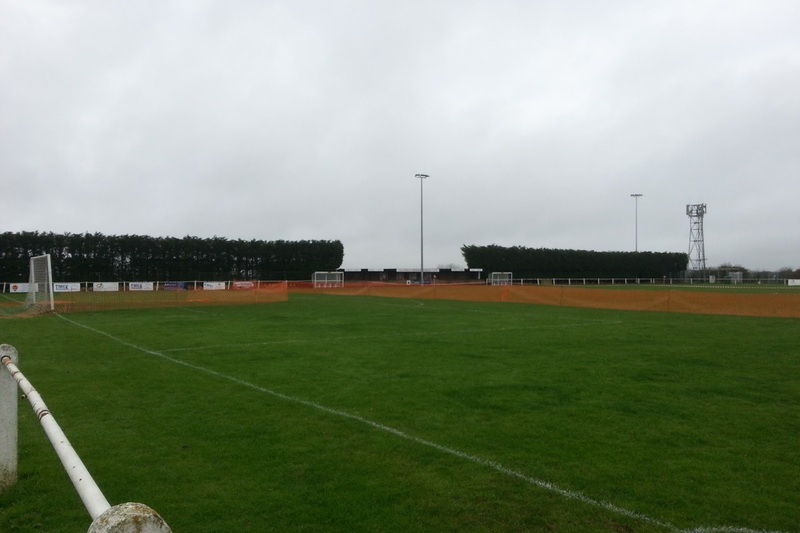 My first excursion into the Bedfordshire County League had impressed me and I will be sure to return for teams that play at a reasonable ground such as Wootton Blue Cross where Marston Shelton Rovers also play. On the way home, we listened to the remainder of the Champions League game between Juventus and Real MadriAstonishinglynly, for the second evening in a row an Italian side completed a three-goal comeback only for English referee Michael Oliver to award a last-minute penalty to Real. He also sent keeper Gigi Buffon off leading the Italian to tell the official that he had 'a bag of rubbish for a heart'. Either way, Cristiano Ronaldo put the spot kick away to deny us extra time to listen to. It was a good journey home and by 10.10 I'd dropped Anwar and Hicham off, getting home myself 20 minutes later. I caught up online and watched an episode of Coronation Street before going to bed just before 11.30. CRAWLEY ROAD is a decent ground for step 7, but has just the one covered area. Luckily, the stand is fairly sizeable stand which has around 50 seats and a further 150 standing spaces. The rest of the ground has open flat standing and a capacity of 2000 overall. I didn't see any tea bar or club shop or tea bar at the ground although the clubhouse has a decent range of drinks and is fairly spacious. There's not much in the immediate vicinity of the ground, with only a Co Op convenince store that I could see.